This summary of Victor Stanley v. Creative Pipe et al., provided by Ron Schutz of Robins, Kaplan, Miller & Ciresi is a cautionary tale for patent prosecutors served with subpoenas (or about to be). If the appropriate steps are not taken to preserve documents or, even worse, if documents are destroyed, the consequences can be severe. Topic: Available sanctions for repeated, egregious, willful spoliation. Plaintiff Victor Stanley brought claims for copyright infringement, patent violations, and unfair competition against defendant Creative Pipe and its owner, Mark Pappas. Despite four specific court orders regarding preservation of electronically stored information (“ESI”), Victor Stanley demonstrated that Pappas had repeatedly and deliberately destroyed extensive quantities of ESI crucial to Victor Stanley’s case. Exasperated and appalled, Chief United States Magistrate Judge Paul W. Grimm undertook an extensive review of the law of spoliation throughout the circuit courts in order to craft the most effective set of sanctions possible. The Magistrate’s opinion acknowledges the “collective anxiety” that exists due to a lack of a uniform standard governing the duty to preserve and then attempts to synthesize existing case law in order to provide a cohesive analytical framework for future spoliation disputes. After reviewing all available sanction options, Magistrate Grimm recommended that the district court enter a permanent injunction and default judgment as to Victor Stanley’s copyright claim. Magistrate Grimm also directly ordered an award of all costs and attorneys’ fees incurred by Victor Stanley in proving spoliation over the course of the litigation as a monetary sanction. Notably, the acts of spoliation were deemed civil contempt, allowing the magistrate to order that Pappas be jailed for up to two years “unless and until” payment of the ordered sanctions occurs. On November 1, 2010, District Court Judge Marvin J. Garbis approved Magistrate Judge Grimm’s Order but declined to adopt the portion of the Order that would potentially subject Pappas to incarceration. Instead, Judge Garbis directed Pappas to pay $337,796.37 as a sanction for bad faith spoliation with the threat of civil contempt and jail to follow for future lack of payment. Read the case, print the appendix. The in-depth analysis and jaw-dropping facts make it worth the time a thorough reading takes. The appendix contains a 12-page chart that identifies each circuit’s spoliation laws and the standards for the most common duty to preserve/spoliation issues. Spoliation can occur in a variety of ways. Among the eight specific preservation failures noted here were the failure to implement a litigation hold; ESI deletions after suit initiation; failure to preserve a hard drive, files and emails after Plaintiff’s demand; and the use of programs to permanently delete ESI after court-issued production orders. Courts have little room to seek fines or damages for court resources and time wasted by spoliation proceedings. The court here used its civil contempt powers to issue the conditional order for imprisonment after concluding that any monetary sanction ordering direct payment to the court would be a time-wasting criminal contempt punishment requiring both the involvement of a U.S. attorney or a private prosecutor, as well as the standard of proof beyond a reasonable doubt. District Court Judge Garbis concluded it was inappropriate to order incarceration for Pappas’ possible future failure to comply with a payment obligation, but was willing to order Pappas jailed if he failed to pay the ordered sanctions. The ultimate sanction of dismissal or default judgment for an entire action because of spoliation remains exceedingly difficult to obtain. 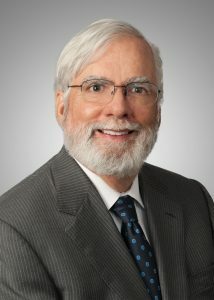 Even though Magistrate Grimm stated that defendants’ ongoing ESI destruction constituted the “single most egregious example of spoliation that I have encountered in any case that I have handled or in any case described in the legion of spoliation cases I have read in nearly fourteen years on the bench,” he would not recommend default judgment on plaintiff’s remaining claims without additional evidence establishing prejudice. This entry was posted in Litigation Issues and tagged creative pipe, Federal Circuit, intellectual property, ip, IP law tools, Litigation Issues, patents, robins kaplan, Ronald Schutz, spoilate, victor stanley, Warren Woessner. Bookmark the permalink.